Can I Apply to Medical School Without Prerequisites? Our question today is from a paramedic firefighter who is now interested in going to medical school but doesn’t necessarily want to take the prereq classes. Can you go to medical school without prerequisites? “I recently had a big wake up call about what I’d like to do as a career. I’m 24 years old, and I’m about to finish my undergrad in Emergency Services Administration. I graduate in about two months, and I realized a few weeks ago that being a firefighter paramedic isn’t what I want to do for the rest of my life. I’ve pretty much spent every free moment I’ve had in the last two weeks trying to figure out if I’d be able to apply to medical school anytime soon. I pretty much don’t have any of the science prerequisites, such as the o chem, physics, and biochem. I have basic physical science in biology, along with anatomy and physiology. But that’s about it. I’m a paramedic, and I’ve had some really awesome experiences from that. I’ve also got a good look at the medical field, which has sparked my interest in going to medical school and becoming a doctor. I never ever thought about becoming a physician until recently. And I’m pretty far behind because of that. I have a 3.8 GPA, and I’m pretty confident I could get a good MCAT score if I put my mind to it. I just don’t really know how to proceed from here and if this means I have to do another year or two of school after graduating this semester. [02:42] Are There Medical Schools That Don’t Require Prerequisites? Do you have to do the prereqs? Well, the first issue is whether medical schools will require you to have the classes before you matriculate. On that front, you may just be in luck since a lot of medical schools are starting to move away from having required courses for admission. But “a lot” is still not a lot. The majority of schools out there still have required coursework to be able to matriculate into medical school. More on this below. The second reason to take the prereqs is to give you the foundational knowledge for the MCAT. 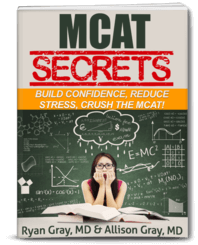 You may not know a lot about the MCAT, saying you’re confident you can get a good MCAT score if you put your mind to it. Nevertheless, I have seen some students walk into an MCAT practice test without much prep and do very well. And you could be one of them. All this being said, you might not need all of the prereqs to do well on the MCAT as long as you prep for it appropriately. The biggest thing you need to do here is to reach out to some medical schools you’re interested in applying to. Reach out and tell them your story. And then ask them what they think you should do. Ask the medical schools whether they have requirements for classes to get into medical school. This information is likely already on their website, or you could get access to the MSAR (Medical School Admissions Requirements), which costs about $30 for a year of access, which has this information collected for all the MD schools. (Look at the CIB for DO schools.) But still it may be worth calling to check. Prereqs don’t help you much in medical school. But they can definitely help you on the MCAT. You may not need the help, but they can help you. The majority of schools out there still are going to require courses. So your best chances of getting into medical school will be if you go take some of these prereqs. This could mean doing just a year of prereqs. So you could go start on a year worth of prereqs, then take the MCAT next March-May. Apply in June, and then work on the rest of the prereqs in between applying and actually matriculating. Again, you don’t have to have all of the prereqs before you apply. Here is an episode I recorded specifically about that. This is the course I would recommend since the prereq courses are going to help you on the MCAT. They may help you some in medical school, too. But at the core of it, the main way your prereqs help you in medical school is just that they help you learn how to be a student in harder science courses. Then once you get to medical school, you realize that you really didn’t study that hard as a premed because medical school is just a whole ‘nother level. 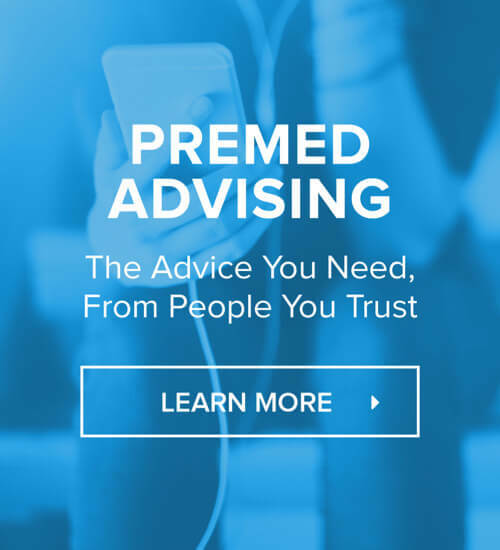 [07:33] So, Should You Go to Medical School Without Prerequisites? I recommend you start taking some of the prereqs. Plan on taking the MCAT earlier in 2019, apply in June of 2019, and start medical school in 2020. It may put a little delay on things, but just start this very minute. A lot of schools are starting to move away from a strict set of prereqs. But those classes will still help you with the MCAT. They help you learn how to be a good student, which you need to do in medical school, obviously. You may not use all the material again, but the study habits and skills you learned are going to be invaluable once you start medical school. Check out our Nontrad Premed Forum, and ask a question of your own! Related episode: How Recent Should My Prereqs Be to Apply to Medical School? Related episode: Taking Prereqs and Preparing for the MCAT at the Same Time.